Shaul Kelner will be a guest lecturer at Stay the Night (Tikkun Leil Shavuot) at the Marlene Meyerson JCC Manhattan on May 19. His talk is titled “Tinker Tailor Tourist Spy.” Read more about the event here. Jewish Studies professor Shaul Kelner will be part of a panel at the Gordon Jewish Community Center discussing, “Remembering the Refusenicks: Helping Jews Behind the Iron Curtain” on December 14 from 7-8:30pm. More information here. Prof. Jack Sasson speak on will speak on Abraham and Abimelech at Congregation Sherith Israel in Nashville, TN on the evening of November 7, 2014. RSVP for the dinner lecture at (615) 292-6614. Prof. Shaul Kelner will speak at the University of Kentucky on the evening of October 27, 2014. Title: “Pilgrimage in a Tourist Age: The Case of Birthright Israel and the Shaping of Jewish Identity” Monday, 27 October, 2014, 7:00 P.M…. 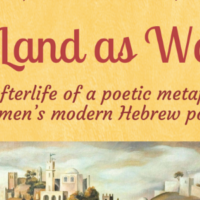 Prof. Shaul Kelner will deliver the 2014 Lillian and Marvin Goldblatt Lecture in Jewish Studies at McMaster University in Hamilton, Ontario on the evening of October 23, 2014. Phil Lieberman gave a lecture titled “Religion in the Public Square” on August 11, 2014 at the the Aspen Center for Social Values.